Shazwani Hamid's Blog: How to Wear the Square Scarf like Shazwani Hamid! How to Wear the Square Scarf like Shazwani Hamid! Since I started to make my blog public, I have received sooo many kinds of questions about myself and about my stuff or about the things that I wear. And the most common question/email/comment that I have received is this: "Wani, please show us how you wear your scarf! / How do you wear a scarf like that?!" Just so you know, since I started my days in IIU, I've seen so many styles of wearing hijab/scarf/tudung/shawl/etc. But most of the students here wear the oblong scarf. And I started to wear the oblong too, before starting to wear the square ones. But then I tried using the square, and it turned out to be okay and menjadi! hehe. Tu yang terus pakai macam ni sampai sekarang..
And turns out, many people liked it and requested to do a tutorial on that.. Here are some of the emails that I picked, to publish it here..
"You and your Along look very nice with the tudung (I mean selendang). I really interested to know how you wear your tudung. Can u show me on how to wear that. I have been trying so many times but failed. .and what type of inner scarf (anak tudung) u have been using?" From H.
"Assalamualaikum Kak Wani... Ermm... Mesti terkejut & tertanya tanya siapa saya... Just know me as your fan. huhuhu. I started to know you when my friend introduce me your blog last friday.. N I lurve to read blogs. Now I have about 9 blogs that I wajib review every day & your blog was the lucky number 10. But I dont have any. N I know you have thousand, million or even trillion of fans. hehehe.. but I just wanna you to know that you are so adorable.. I'm sorry if this email will make you feel annoying... I'm just a normal gurl that admire an adorable woman. Thank u so much for reading this... Wassalam. " From Z.
Nak tanya ni... you pakai tudung ni jenis apa ye ? TieRack ke? leper jek kat dahi...susah nak tegak kan...heheheheh" From R.
Do you know that you are so lucky? I love you blog so much. I dunno why. I don't even know you, but I just love you. You have 'the aura'. You're cute and adorable! And please please show us how you wear your beautiful scarf..pleasee!" From P.
"Salam... Hai.. I am ur blog reader.. Ok,straight to the point. Do you mind to teach me to wear Tie Rack? I just adore the way you wear it. Maybe you can upload in your blog so others can learn too. I baru start nak bertudung. I juz want it simple yet stylish. Thanks" From L.
"Assalamualaikum Miss Shazwani Hamid, I am your avid silent reader. I love your blog. You and your blog are just too cute. I love your eyes. I love your smile. I love your life. I love your style. I love your stuffs. I love your bags. I love your shoes. I love your clothes. I love your taste. I love the way you make up and style up yourself. I love everything about you! Please don't be scared..I'm not a stalker or a crazy fan or whatever..I just adore you! You live such an amazing life..yet you are so humble and wear scarf! I've been following your blog since last year and I never fail to read anything that you wrote and also all the comments. And by reading those things..I can tell that you are such a nice person. That makes me like you even more! You are pretty, lovely and wear a decent clothes! That is one thing that is very rare and very hard to find in a person these days! Anyway..the reason why I email you today is because I want you to teach me (or us the readers) how do you wear your lovely scarfs. It's great to see someone who are so fashionable yet can pull off the style with hijab! I've seen so many people with hijab trying to be fashionable but looking like a disaster! But youuu, wow. Just wow! Congratulations you really deserve the credit! Thanks for taking your time to read this! Hope to hear from you soon! =)" From N.
"Hi Wani.. Hope you're doing fine :) Actually kan, I like the way you wear your tudung. And if you don't mind, boleh tak kalau you ajar cara-cara how to pusing-pusing tudung tu by making an entry about it? Kalau tak menyusahkan la.. 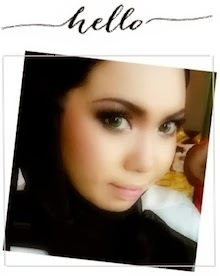 Thank you :)" From L.
Hye wani.. Saya silent reader awak.. Tapi saya takde blog pun..hehehe.. Tapi minat baca blog orang. Happy je rasa nya. Erm....saja nak mintak pembelajaran dari awak..hehe....Ayat skema.. Saya suka tengok awak pakai tudung.....boleh tak awak ajar or tunjukkan cara awak pakai tudung...tudung 4 segi kan awak pakai? Dah lama saya ingin kan untuk pakai tudung macam tu...Tapi tak tau lorh nak lilit2 kat kepala ni...huhuhu.. Tengok awak pakai cantik je... Menarik....saya ada search kat youtube tapi tak ada tunjukan cara pakai tudung macam awak.. Boleh tak awak ajar saya macam mana awak lilit tudung awak tu...tu pun kalo awak tak keberatan.." From K.
I am one of your silent blog reader.. I love your fashion style..
Would love to know how you wear that tudung..
Baru berjinak-jinak nak jadi muslimah sejati.. huhu..
Could you please show in your blog step by step how to wear tudung your style? Tutorial is what I'm asking for please if you don't mind.. I nak tanye ni, if you tak keberatan boleh share sikit tak, how you belit2 your scarf?? I sekarang comfortable wearing selendang rather than scarf segi empat tue sbb dah terbiasa kot. I byk jugak beli selendang from Tie Racks sebab kain dia macam best je kan & senang sangat nak belit. Hehe. I ade jugak beli scarf segi empat tu tapi macam tension je nak belit2. I dah try my own version punye belit tp I tak berapa comfortable laa especially kat bahagian tengkuk ni & lagi lambat laa nak bersiap. Hehehe. Tengok you & Iza belit2 your scarf macam simple & nice jerrr..
Hope to hear from u soon. Kalau bole, u letak kat blog u laa some pics How To Belit2 Your Scarf. Hehehe kerjasama mu amat saya hargai nnt :D" From E.
Secondly, I would like to warn you that wearing this kinda style would be kinda hard for those yang tak ada kesabaran and for those yang jenis tak suka nak leceh leceh. So for those yang suka nak siap cepat, just forget it kay. Because I gotta be honest here, wearing this kinda style can be quite tricky especially when you're running out of time to get yourself ready! It can take you about 5 to 25 minutes to wear it depending on how your scarf 'behave' on that day!! One scarf normally would cost £ 9.90 (I think. I forgot. Please correct me, if I'm wrong). In KLIA, I'm not so sure. About RM 60 - RM 70 per scarf I think? And you can get 'em online from as low as RM 40 to RM 70 per scarf, depending on which sites you're viewing. And I only use the black RM 5 bucks anak tudung. I don't wear any other type - Yang keras keras tu ke, yang ada awning ke apa entah they call it, or whatever. I don't. Because for me, I tak suka nampak macam loghat sangat. Macam banyak benda kat kepala. Dengan manik lah, awning lagi lah, etc etc. hehe. I prefer simple. The size of these scarves would be 90 cm X 90 cm. It's not so small, and it's not so big either. For me, this is a perfect size for my kind of style to lilit on your head. Kalau besar sangat susah nak adjust sebab banyak kain terlebih. And you'll end up looking like sarang tebuan ada dekat kepala sebab kembung-kembung banyak sangat! hehe. Okay, here's one tip: In order for you to look good with these kind of style, I gotta say you have to balance out your look. I'm not just saying this untuk baju and tudung je. You have to imagine first what do you want to wear on that day. Which top you're going to wear, what scarf, and with which shoes and bag does the outfit go with.. So baru lah nampak cantik if everything that you're gonna wear macam ada kena mengena with each other! (I think). hehe. And make sure you don't go overboard. Because some people I see, they wear everything on them. I mean, macam nak letak semua benda kat badan dia. huhu. The key is to keep it simple. And if your top is already look 'busy' or rather over, then keep everything else simple. If your top is flowery or abstract or stripes or anything, don't team it up with 'busy-looking' kind of printed scarf too! I mean, tak kan dua-dua nak corak-corak, ey? Pening kepala and juling mata orang nanti! hehe. JK. But if both your top and scarf are plain, then you should wear some accessories like rantai ke, belt ke, bangle ke or anything that would look good on you! Anyway, I baru je nak buat video on this scarf thing.. So I youtubed it. Sebab nak tengok macam mana orang lain buat tutorial sebab tak pernah lagi buat. Sekali terjumpa Kak Leeds punya. Wahhh...senang kerja saya!! hehe. This is exactly how I wear it! So tudung bawal VS tudung lilit. Which one do you prefer, ladies? Nice! I've never tried lilit2 squared Tie Rack before. Haha boleh la try macam ni. Ahahha...saje je nak inform. Dah try da style u pakai tudung ni. Tutorial sangat berkesan la. Cume dekat bahagian belakang ni macam berserabut sket la. Memang mcm ni ek?? thnk u!!! thnk u!!! my mom nearly throw away all her scarfs and that was when i stopped her.... hehe.... my dad bought them in china, nos s expensive as yours and not as excluesive as urs but still in good condition....i would like to try to wear it like u.. i had but i failed..when i turned d scarf, d egde here and there, it turned to be new style, still look good but i still want to learn ur way...hehehe... thnks wani!! Anak tudong macam mana? Yang mana satu? thank u wani. u are awesome! n i too love ur blog! cik wani, i dh tak leh view video tu.can u pretty please make a new video for tudung 4 segi? hi.kenapa the video can no longer be viewed eh?can u please post a new one?pls pls.thanks! There are lot of ways to wear square hijab. Turkish women wear in a smarter way, means does not cover chest fully while arabs do full cover. Iran also different trends are seen while in far east is mixture of many styles which are being introduced by girls who are trend makers. My Fourth Day in Perth.